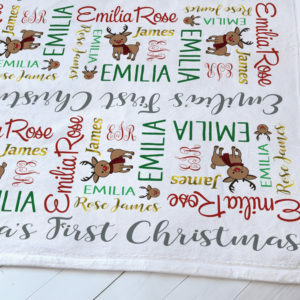 So soft and snugly, our personalized baptism blanket is a favorite among new parents and makes the perfect baby shower gift. It is sure to become your little one’s favorite blankie to snuggle with! 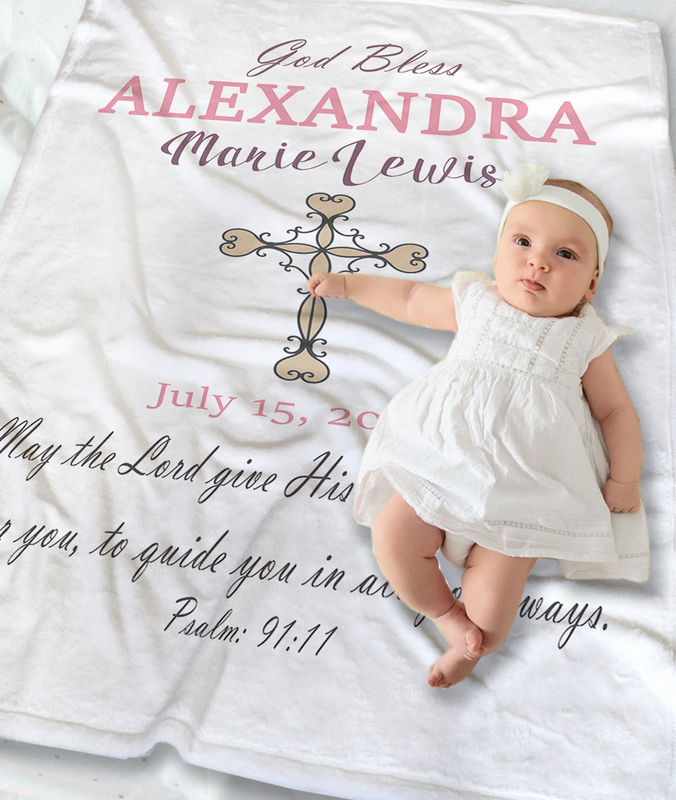 Swaddle your bouncing bundle of joy with this personalized Baptism Blanket on their special Christening day. This blanket will be the most talked about baptism gift on the big day and one of the most cherished keepsakes for the new mother. 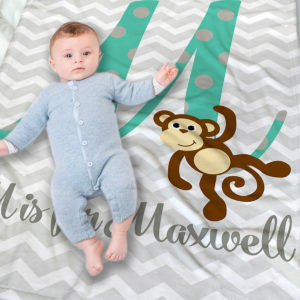 Expertly printed onto exquisitely soft fleece, this christening blanket will offer you a unique way to celebrate your little one’s special day while also becoming a cherished childhood heirloom with time.